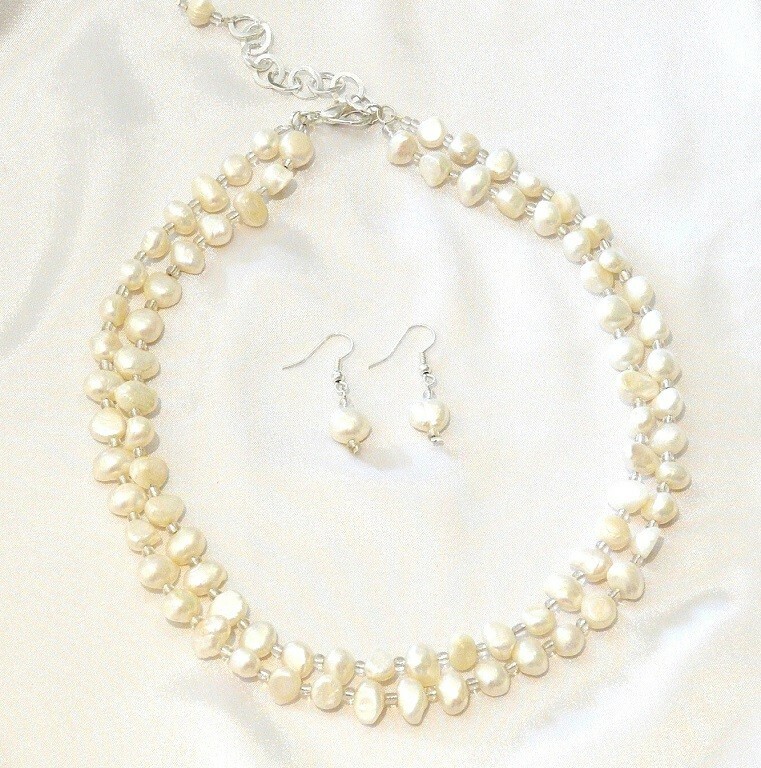 Beautiful white Freshwater Pearl Choker available in white or by request in pale silver or pink pearls. The necklace is a double strand design. Matching Earring pairs can be ordered to match in a choice of either nickel free or sterling silver earrings.